Are you wasting valuable time checking email? How much time do you spend a week on email? And, how much of it is not worth your time? How many important messages have you missed, ignored or failed to respond to because your inbox is too full? According to a study by McKinsey Global Institute, the average interaction worker spends an estimated 28% their time each week reading and responding to email. That amounts to over 11 hours per week ─ and over 582 hours per year). The first step to reducing your email load is to create filters and unsubscribe to unwanted campaigns. However, even after you do this, you're most likely going to have a lot to review. To further reduce the time you spend on email, and help you gain hours back in your week, an assistant can be your first line of defense in the battle. She can screen the small stuff and weed through inquiries so you only see the emails you need to see. How much you delegate depends on your work style, your relationship with your assistant, and your office culture. By creating an admin email account (or personal email account for her on your business domain) she can respond to standard inquiries immediately on your behalf based on rules you determine. As for your stretch goal of inbox zero? It may finally be achievable. 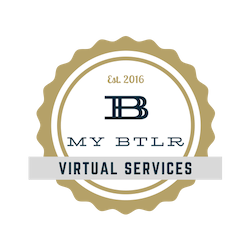 Let My BTLR help you defeat your email and get on with business. Call us today at 866-575-4559 to learn how we can take time-consuming tasks off your plate so you can concentrate on the important things. Newer PostIs Your Voicemail Full Again?